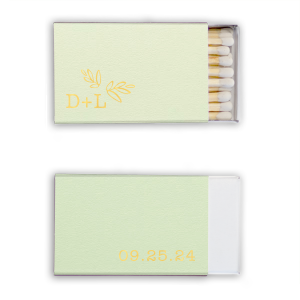 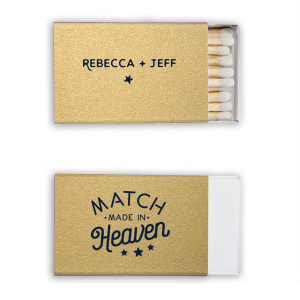 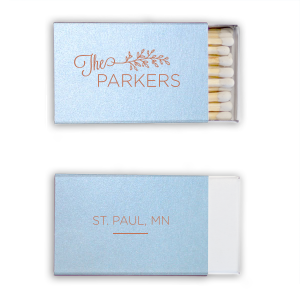 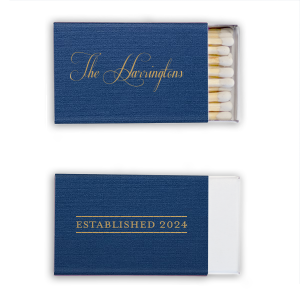 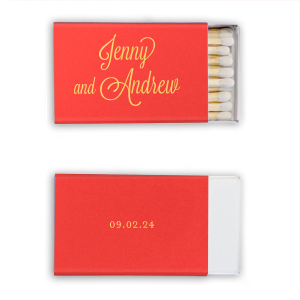 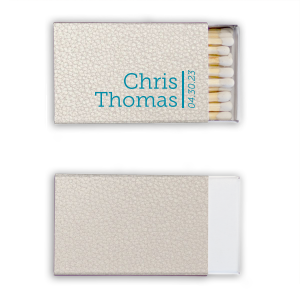 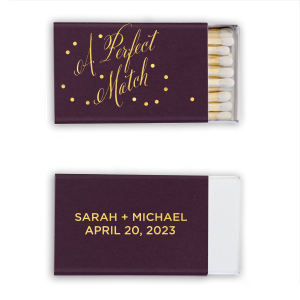 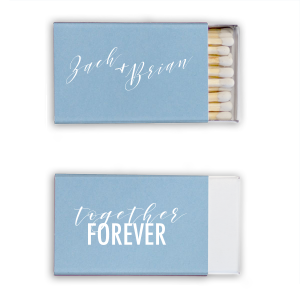 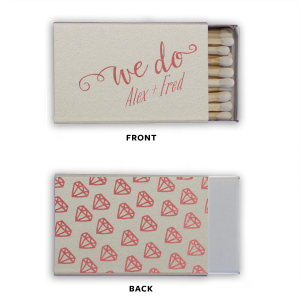 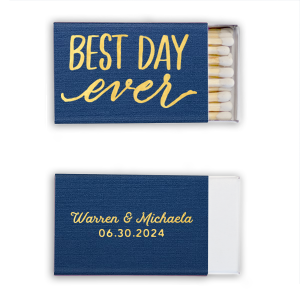 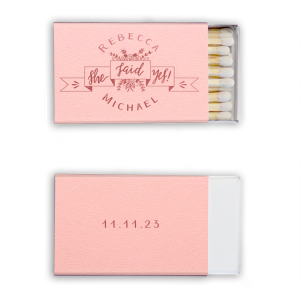 She’s found the perfect match, so it's time to celebrate with personalized bridal shower classic matchboxes? 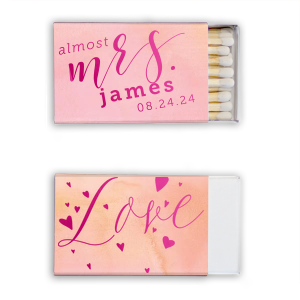 Customize your bridal shower classic matchboxes with the soon-to-be bride and groom’s names and a beautiful custom color combination with gorgeous foil stamping. 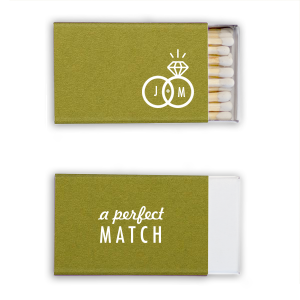 Create the perfect custom designed bridal shower classic matchboxes today! 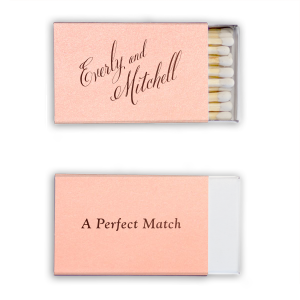 Celebrate your favorite bride-to-be in style with personalized bridal shower classic matchboxes. 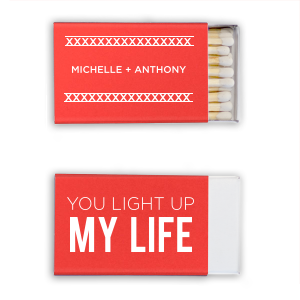 You'll love having the creative freedom to design truly personalized bridal shower classic matchboxes. 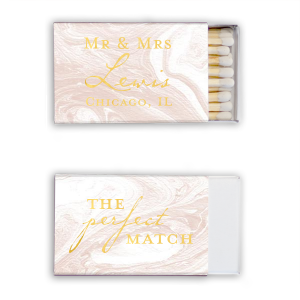 With over 100 matchbox colors and over 50 foil stamping color and sheen options, designing custom bridal shower classic matchboxes to coordinate with your party color palate is easy. Choose a classic monogram or go with a sweet “Miss to Mrs.” design for your personalized bridal shower classic matchboxes. 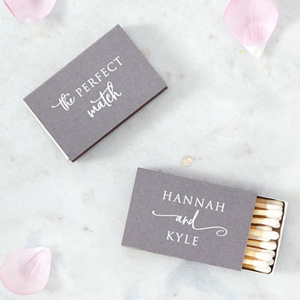 Your guests will enjoy taking home your custom designed bridal shower classic matchboxes because they are such a lovely and useful party favor.